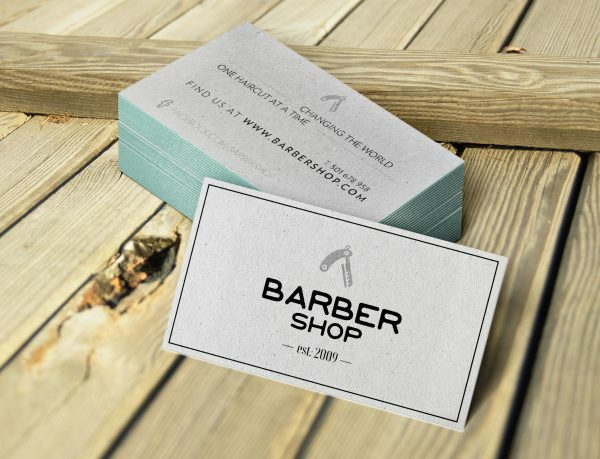 Choosing the right business card for your barber shop can be a hard decision, which is why we have multiply templates so you can find the one that’s right for you. Take a look at the template on this page, if it’s not something for you, take a look in our gallery for more free templates. This design is actually the same af the one you see at the top, but just in black. It gives the option to play with things like the material you print on or painted edges. 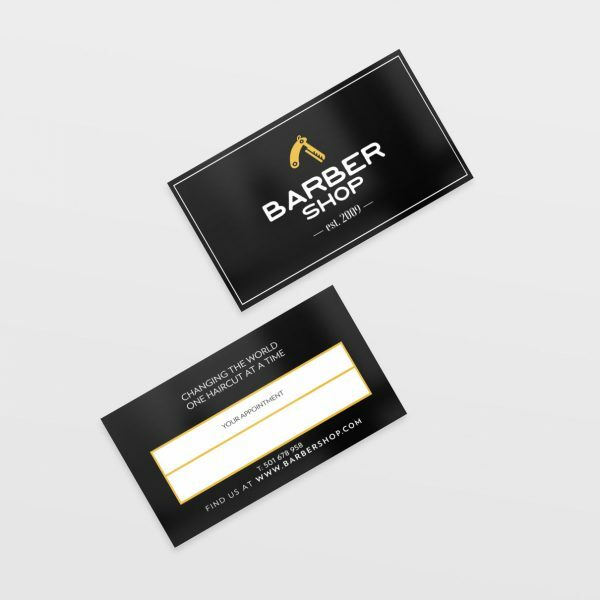 Both designs come with 2 options for the backside, one with an appointment field and one without.